Amid the red carpet, formal ceremonies, scintillating performances, and rigorous schedules, leaders of Southeast Asian nations grappled with pressing regional issues during the two-day summit in the Philippines. One of the goals is to build consensus for a Code of Conduct (COC) over the disputed South China Sea. The Association of Southeast Asian Nations (ASEAN) has been criticized for its inability to arrive at decisions on key problems due to its consensual decision-making style and policy of noninterference in each other's affairs. Nonetheless, ASEAN meetings are an opportunity for regional and international actors to gather and talk about the problems confronting the region. Despite a lack of unity among ASEAN member states, the recently-concluded 31st ASEAN Summit was able to produce an agreement with China to start negotiations on the contested waters of the South China Sea. Critics have pointed out that this was merely a tactic by China to buy time and consolidate its maritime powers. However, according to the Chinese Premier Li Keqiang during the ASEAN summit, China’s intention to begin talks over the disputed waters will further stabilize the region. Although the South China Sea was not a dominant issue during the summit at a time of relative calm, ASEAN members acknowledged that the risk of a miscalculation in the disputed area could lead to a geopolitical crisis. Hence, a framework detailing the Code of Conduct was developed prior to the summit. This particular framework advances a 2002 Declaration of Conduct (DOC) of Parties in the South China Sea, which has historically been ignored by China. 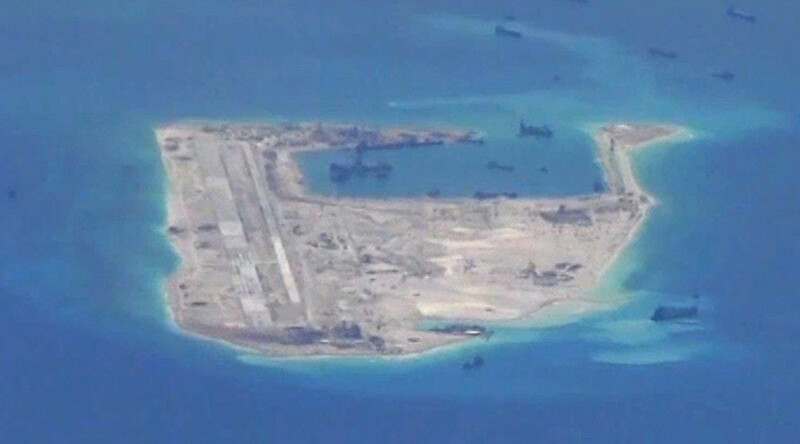 The DOC was a non-binding agreement, and therefore did not prevent China from building seven man-made islands in disputed waters, three of which [Fiery Cross Reef, Subi Reef, and Mischief Reef] are now equipped with runways, surface-to-air missiles, and radars. China and its ASEAN neighbors have too much at stake to let maritime tensions get in the way of regional relations. The ASEAN summit was marked not by conflict but by cordiality. Concerns of member states centered on ensuring renewed vigor in finding a solution, despite the strains caused by Chinese island-building and an international tribunal’s rejection of China’s claims to almost all the waters. An agreement to exercise restraint while working resolutely towards finalizing a legally binding COC sets the right direction towards ensuring regional peace and stability. Marking the 25th anniversary of China-ASEAN dialogue relations, both sides agreed that there was evident progress towards consensual adoption of the COC. To prevent future maritime conflicts, guidelines for a hotline to deal with emergencies at sea were approved, along with rules for unexpected encounters of naval ships and aircraft. There was no discussion on China’s refusal to acknowledge the Hague ruling against its territorial claims and reclamation activities in the region during the formulation of the COC framework, underscoring the pragmatism of ASEAN members. To further strengthen the effectiveness of the COC, it is vital that enforcement measures and arbitration mechanisms be a key factor of the framework. It is essential that both ASEAN members and the Chinese government understand the need for a two-track approach for solving the South China Sea dispute. First, they should discuss the dispute and achieve a solution for it; and second to continuously push for advancing economic growth and development. As complex as the dispute is, governments should not allow it to overshadow economic objectives. China is ASEAN’s largest trading partner, while ASEAN’s strategic geographical positioning is an integral part of China’s belt and road initiative. Regional experts remain doubtful about the ASEAN framework’s efficacy in resolving the dispute. However, Chinese and ASEAN officials remain positive and have mentioned that the situation in the disputed area is improving. In addition, U.S. President Donald Trump also signalled his support for ASEAN’s COC framework. Ensuring the finalization of a COC will bolster mutual understanding between the claimants. The COC will also stabilize the regional tensions, providing the opportunity for the member states to focus on other pressing issues, such as regional terrorism. Although on the onset, it will be difficult for ASEAN states to reach a unified viewpoint over the dispute and for the Chinese to sign a legally binding document, it has been widely agreed that this COC will stabilize the region. In May 2017, Singaporean Prime Minister Chee Wee Kiong said that the draft framework of the COC had a positive momentum, signalling that a steady progress towards an effective COC is possible. 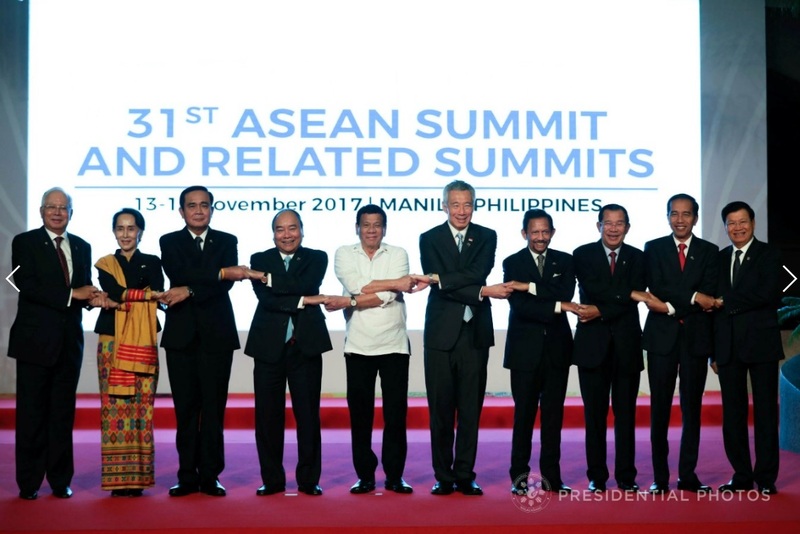 The signing of a code for the disputed area has long been a goal for the claimant members of ASEAN. According to China’s official news agency, Xinhua, the pact to hold consultations on the Code of Conduct was "a new starting point to jointly build a sea of peace, stability, and prosperity. Anushka Kapahi is a first year graduate student in the MAIA program at the Elliott School of International Affairs. Her academic focus is on International Security Studies and Asian Politics, particularly Southeast Asia.